Tonight, we’re showing THE RIOT CLUB (Cert 15, 107 mins). Please book your tickets here asap, spread the word and bring friends – it’s a film you’re likely to have very strong opinions about! Likely to be controversial for both its subject matter and treatment, THE RIOT CLUB features some compelling performances from a ​raft of new British talent, including Sam Claflin, Max Irons and Dominic Green. Based on the (unofficial) Oxford club, The Bullingdon Club, beloved of current Tories. ​Bar open from 6.40pm and film programme starts at 7.30pm. FREE PARKING. Tickets £8 (£5 under 18s). Due to high last minute demand for tickets, we have moved tomorrow’s screening of THE RIOT CLUB (Cert 15, 107 mins) to the main theatre, as it was sold out in the studio theatre. So please book your tickets here asap, spread the word and bring friends – it’s a film you’re likely to have very strong opinions about! ​Likely to be controversial for both its subject matter and treatment, THE RIOT CLUB features some compelling performances from a ​raft of new British talent, including Sam Claflin, Max Irons and Dominic Green. Bar open from 6.40pm and film programme starts at 7.30pm. FREE PARKING. Tickets £8 (£5 under 18s). We’re braced for the Oscars this Sunday and are so excited about what’s coming up for you at FILMBOX this Spring/Summer! We’ll also be featuring some of the worthy nominees (and short films!) in our Autumn season for you, so subscribe to our website to keep track of what’s coming your way soon. When the licence for a film has been confirmed, it will be listed as on sale on Ticket Source, our box office website (where we’re awaiting a licence, a film will be listed but not available to book). Tickets are on sale to members first and then to ‘day members’ (the public) at least 10 days in advance of the screening date. In the Calendar (link below) you can see all of our forthcoming screening dates for your diary. Here’s what’s coming up for you at FILMBOX this Spring/Summer! 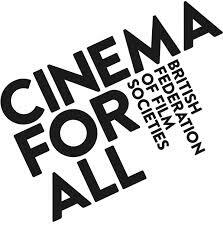 When the licence for a film has been confirmed, it will be listed on Ticket Source, our box office website. Here’s what’s coming up at FILMBOX in Feb & March, featuring THREE MULTI-AWARD-NOMINATED FILMS COMING UP IN MARCH! SPECIAL 2 FOR £10 OFFER! This terrific film is up for 11 BAFTAs and 9 Oscars – come and see it on the BIG screen. OPEN TO ALL TO BOOK NOW – IN OUR LARGE CINEMA SPACE! * 2 FREE tickets to FILMBOX Members! Booking is usually open to non-members 10 days in advance – except for ‘The Grand Budapest Hotel’ which is open to book to non-members NOW! FILMBOX wishes you all a very Happy New Year! Become a Member and see GREAT films for only £5 in 2015. Save up to 40% on up to TWO tickets at FILMBOX for every film! Save 16% on your drinks with our members’ loyalty card! Send in your application to arrive asap & we’ll process your membership ready to book tickets for the new films. Here’s what’s coming up in 2015! We’re based at Langley Park School for Boys, off South Eden Park Road, Beckenham, BR3 3BP – FREE Parking. Look at what we have coming up, we’re warming up for BAFTA & Oscars season. See IMDB & trailer links to new films.